Everything the acrylic artist needs to know from colour theory to complementary, warm and cool colours, colour tone, using a limited palette, dull and bright colours and local colour. There follows an array of essential colour mixes using widely available Winsor & Newton colours. Clear, practical and beautifully presented advice. This pocket-sized, practical guide has everything the acrylic artist needs to know about colour mixing, from colour theory to complementary, warm and cool colours, colour tone, using a limited palette, dull and bright colours and local colour. There follows an array of essential colour mixes using widely available Winsor & Newton colours. Clear, practical and beautifully presented advice. Julie Collins studied Fine Art at the University of Reading and has been an artist, writer and teacher since then. She has written colour mixing and artist's problem solving books and writes for The Artist magazine. She works from her studio in Farnham, Surrey, where she explores her passion for painting, drawing and crafts. 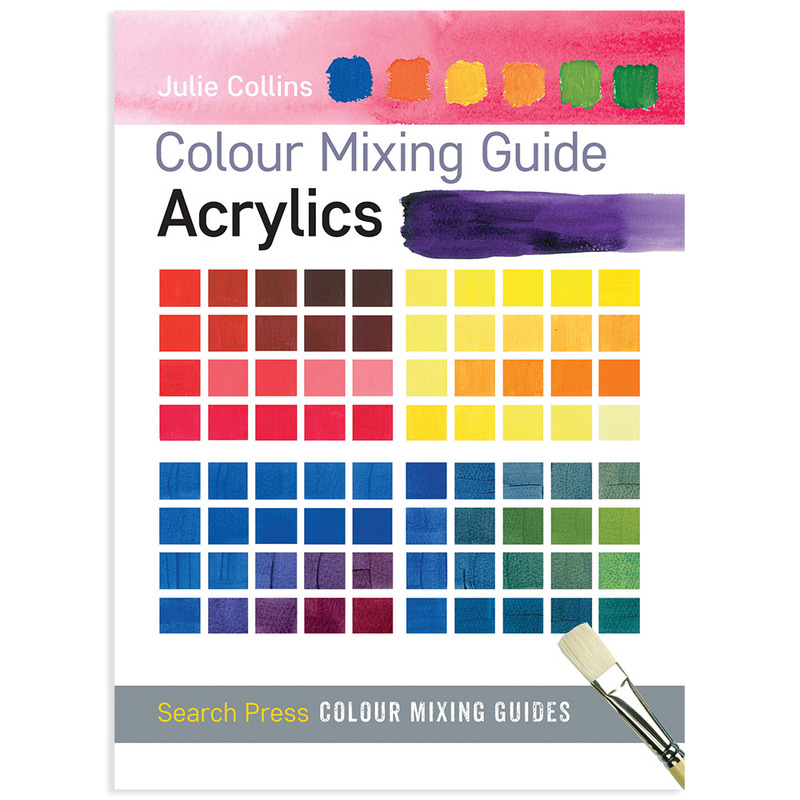 Julie Collins handy pocket sized guide to mixing acrylic colours contains 48 pages packed full of advice on mixing acrylic colours for all possible uses. Theres information on colour theory, complementary colours, warm and cool colours, colour tone, using a limited palette, dull and bright colours and using local colour. Julie uses readily available Winsor & Newton colours and presents the information in a clear practical way. A colour wheel and template are included so that readers can paint their own colour wheel.